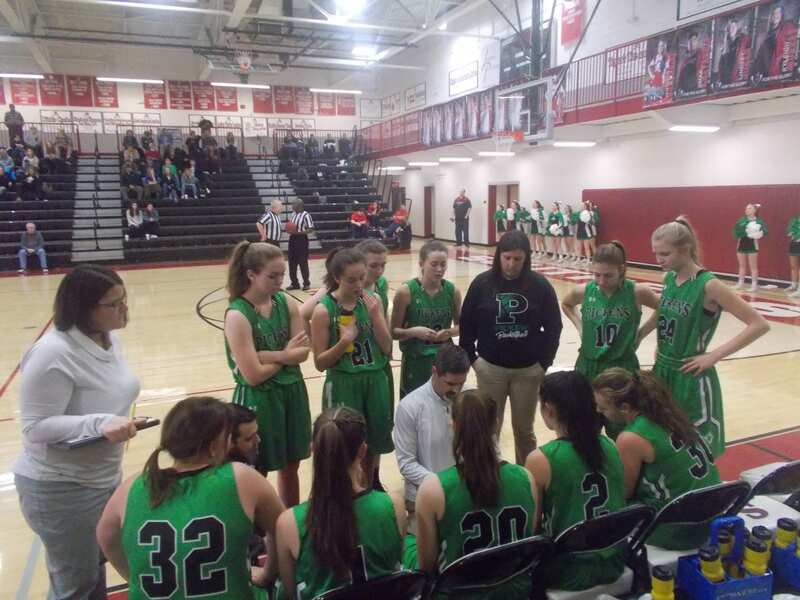 On Friday afternoon, the PHS Dragonettes varsity basketball team traveled down to Flowery Branch to take on the Lady Falcons in the first round of the GHSA Girls 4A State Tournament. Pickens, came into the game as the #4 seed from region 6 & Flowery Branch came in as the region champions of region 7, & the #3 ranked girls team in 4A. In the opening quarter, the Nettes got off to a quick start, but the Lady Falcons were able to take the lead going to the 2nd, 24-7. In the 2nd quarter, the offense for Pickens really picked up and they were able to do some good things against a tough Lady Falcon defense. Flowery Branch barely outscored the Nettes 18-17, to take a 42-24 lead into the break. The 3rd quarter saw the Nettes get things going on both ends of the floor, as they outscored the Lady Falcons 14-12, but Flowery Branch still held the lead, 54-38. In the 4th, the Nettes made a little run to begin the quarter, but the Lady Falcons were able to pull away at the end, 70-43. 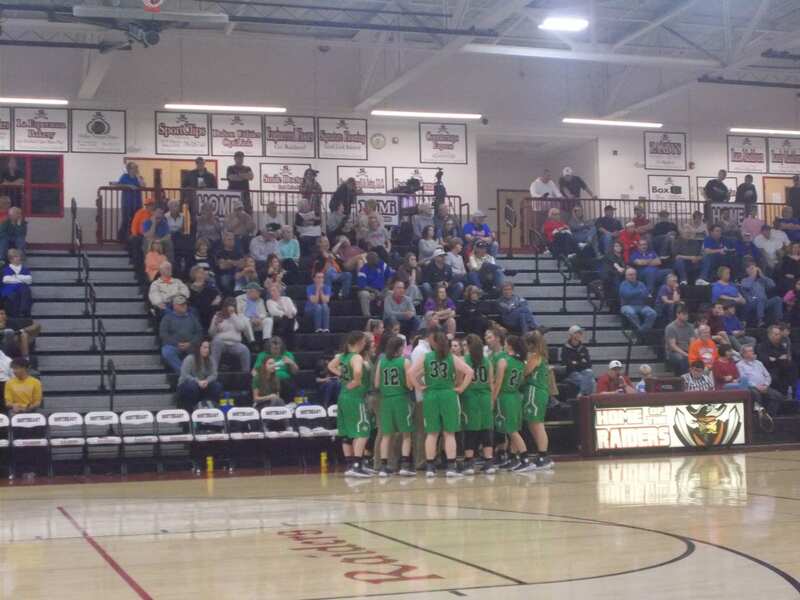 This past Friday afternoon, the PHS Dragonettes varsity basketball team was once again in Dalton to take part in the consolation game of the 6-AAAA Region Tournament. Their opponent, the Gilmer Lady Cats. This would be the 4th meeting between the two this season. The winner, would be the regions 3rd seed in the state tournament. The other, will represent the region as it’s 4th seed. The Lady Cats, jumped out to a quick start over the Nettes in the opening quarter of this one. Going to the 2nd, Gilmer held a 21-8 lead over Pickens. The 2nd quarter scoring was very close as the Lady Cats just did outscore the Nettes 8-7. Going into the break, Gilmer maintained their lead over Pickens, 29-15. In the 3rd, the Nettes’ began to bounce back. The 3rd quarter saw the Nettes’ outscore the Lady Cats 18-11, to cut the Gilmer lead down to 40-33, going to the 4th. The 4th quarter, saw the Lady Cats hold on to secure the win, 52-43. 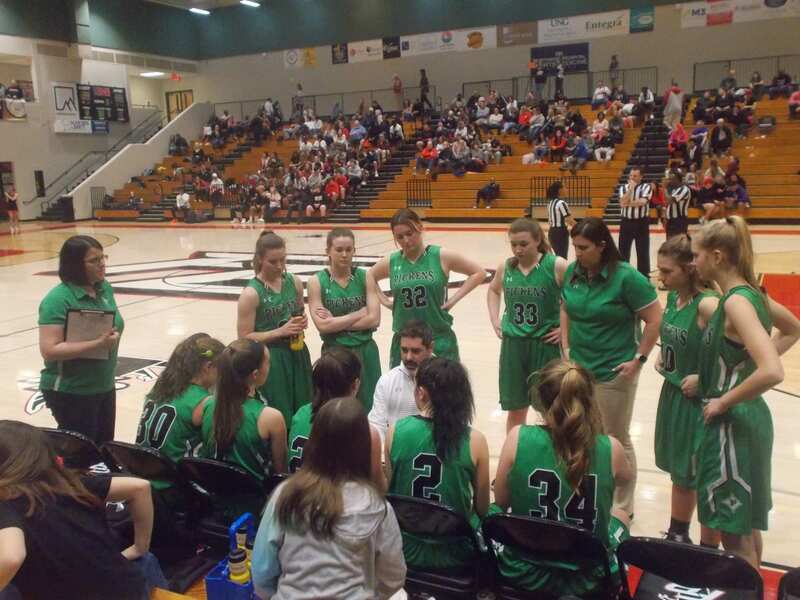 Pickens, will now turn it’s attention to the Girls 4-A State Tournament as they will travel to Gainesville to take on the #1 seed out of region 7, the Flowery Branch Lady Falcons. Game time & date are unknown as of this writing, but it will be next week. Earlier tonight, the PHS Dragonettes varsity basketball team traveled back to Southeast Whitfield for a semifinal showdown with the #1 seed coming into the 6-AAAA Region Tournament, the Northwest Whitfield Lady Bruins. The winner, would move on to take on the Heritage Lady Generals in the championship game. In the 1st quarter, the Nettes got off to a 4-0 start. The Lady Bruins, were able to take the lead by the end of the 1st, 17-10. In the 2nd quarter, Pickens got going a little bit, & cut into the Northwest Whitfield lead. At the half, the Lady Bruins led, 27-22. In the 3rd, the Nettes’ got right back into the game using an 11-6 quarter run. Going to the 4th & final quarter, we we’re all tied at 33. The 4th quarter, was back & forth with the Nettes coming back after trailing 39-33, to take the lead. Northwest Whitfield, was able to make a late run, outscoring Pickens 13-9, to get the win, 46-42. Pickens, will be back at Southeast Whitfield on Friday as they will battle the Gilmer Lady Cats for 3rd place. Tip off is scheduled for 4 pm. This week’s #TeamFYNSports Players of the Week are Kealy Hillhouse & Zach Goss. The Nettes & Dragons only had one game this week as they hosted Southeast Whitfield for Senior Night. Kealy Hillhouse, has really stepped up her game as the season has gone by. She was a big part of the Nettes’ win over Christian Heritage the week before, & continued that play against the Lady Raiders finishing with 4 points, 2 assists, 3 rebounds, & 1 steal. Zach Goss, led the Dragons in scoring in this, his final home game as a Senior. Goss, finished with 22 points, 2 assists, 8 rebounds, & 2 steals. This Week’s #TeamFYNSports Players of the Week are Reagan Harwood & Tucker Lowe: The Nettes’ & Dragons each had three games this week as they went to Southeast Whitfield, hosted Christian Heritage, & traveled to Dawson. Reagan Harwood, is an example of a younger player getting better as the season goes along. Harwood, comes off the bench for the Nettes’, but makes the most of the opportunities she’s given. Harwood, had 2 points, 5 rebounds, & a steal against Southeast Whitfield, 3 points, 1 assist, 1 rebound, 1 steal, & 1 block against Christian Heritage. Harwood held her own against a good Dawson team as well. Tucker Lowe, has grown more comfortable with varsity basketball in this, his sophomore season. Not only is Lowe a threat to knock down a three after he crosses half court, he’s gotten better defensively as the season has gone on & learning to use his quickness more to drive into the lane. Against Southeast Whitfield, Lowe had 9 points, 1 rebound, & 1 steal. Against Christian Heritage, he had 14 points, 1 assist, & 1 rebound. He finished with 3 points against a good Dawson squad. This week’s #TeamFYNSports Players of the Week are Sarah Morris & Owen Moss. Both the Nettes and the Dragons had tough week’s this week going 0-2 against region competition. Sarah Morris, had a good week despite the tough losses. Morris plays good defense & when rolling, can light up the scoreboard quickly. Against Gilmer, she had 4 points, & 1 rebound. Against Northwest Whitfield, she finished with 12 points & 2 rebounds. Owen Moss is one half of the starting sophomore duo along with Tucker Lowe. Moss, is very quick with the ball. He uses that quickness to get into the lane & help on defense. Against Gilmer, Moss finished with 2 points, 2 assists, & 5 rebounds. Against the Bruins, Moss had 9 points, 1 assist, 3 rebounds, & 1 steal. Torie Williams, had a big hand in the Nettes’ going 2-0 for the week as she finished with 9 points, 7 assists, 2 rebounds, & a steal against Cedartown, & 17 points, 9 assists, 5 rebounds, 4 steals, & 1 block against LaFayette. Brady Moore, did a lot of dirty work in these two games against Cedartown & LaFayette. Against the Bulldogs he had an assist, 3 rebounds, & a steal, & against the Ramblers he finished with 4 points & 2 rebounds. This week’s #TeamFYNSports Players of the Week are two Seniors. Olivia Simmons & Zach Goss. This week started region play for both the Nettes & the Dragons as they both went 1-1 during the week. For Zach Goss, he lit up the score book against Heritage & Ridgeland. Goss led the team in scoring during the week. Against Heritage, Goss had 24 points, 4 assists, 5 rebounds, & 2 steals. Against Ridgeland, Goss finished with 27 points, 3 assists, 6 rebounds, 1 steal, & 2 blocks.